Towards the end of 2014 I decided I wanted to make an album in 2015. 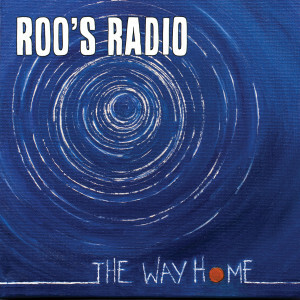 A Roo’s Radio album. We’d written four songs together and had another one that Cec and I had performed and we’d kind of busked with Claire a couple of times. I had another fourteen songs that I thought would work as Roo’s Radio songs. We met most Wednesday evenings and one Saturday a month and got busy writing/arranging songs. By March we had the outline of an album so we made a plan to record in May with Paul. By the time we made it into the studio we had ten songs finished. We got loads of the recording done in that first week, but we needed a few extra days to get everything done, which were added where we had time. The recording was finished around the beginning of August, although as it goes we added a couple of extra bits during August. We had the final version of the album in our hands around the beginning of October in the end. And we launched it a month later in November. During the whole process we had a studio webcam running for people to ‘drop by’ and see what was going on. It was mostly very boring, but it does mean we’ve got about 75 hours of footage from the webcam. Some of which you can see in the video below. My wife, El, also contributed to the project, producing a piece of artwork for each song – including the album cover. This artwork formed the basis of the decoration for the album launch.